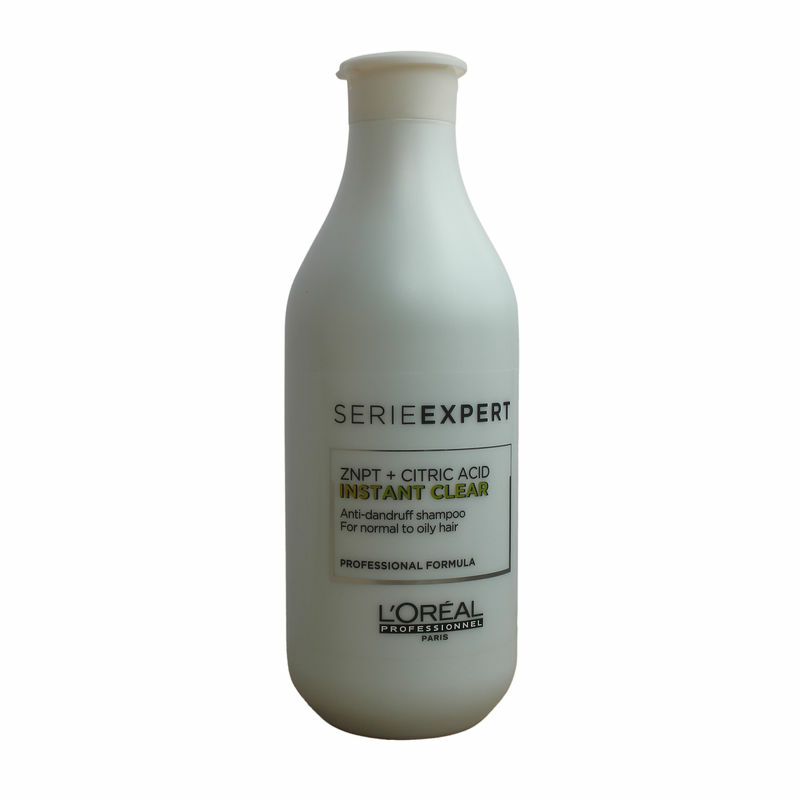 In case you are looking for the best hair care product to stop hair damage, L'Oreal ProfessionelInstant Clear Pure Anti-Dandruff Shampoo is the perfect solution! Clinically proven to help restore the scalp's natural moisture balance, this purifying anti-dandruff shampoo gently eliminates dandruff while rebalancing your flaky scalp, leaving your hair easy to style, soft, light and shiny. Recommended for normal to oily hair, the serie expert shampoo contains a regulating complex that controls scalp flaking to give instant dandruff elimination and relief of itchiness. With in-built Alpha-Piritone patented technology, it rebalances your roots bidding farewell to your dandruff, forever! A unique combination of Zinc Pyrithione and Citric Acid helps cleanse and nourish dandruff prone Oily Hair. This anti-dandruff shampoo purifies and re-balances the scalp to significantly reduce dandruff in 3 - 5 shampoos. Hair is left light and shiny. It leaves your hair fragrant, soft, shiny and easy to manage.